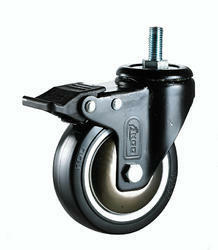 We specialize in offering Shopping Cart Caster Wheels to our clients at industry leading prices. We deliver the consignment within the stipulated time frame. This range of caster is build to support the weight of shopping carts at malls and airports. These have beautiful wrenches and brakes options also to choose from. This range of Shopping Cart Caster is build to support the weight of shopping carts at malls and airports. These are often maintenance free and do not get rusted and are ideal for shopping cart mobility with ease. Fixtures Plate, fixed, pin type, thread, and brake type. 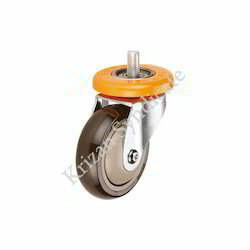 Grand polyurethane wheels single ball bearing are special light duty caster wheels used in hospital and super market. Looking for Shopping Cart Caster Wheels ?